Sun taken his hat off? No problem. 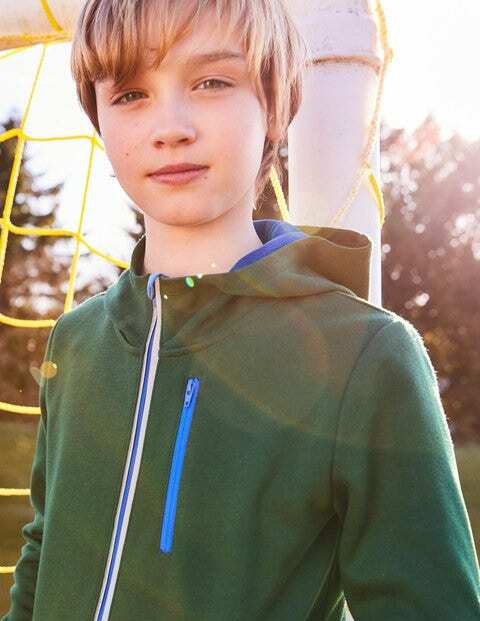 Whether on the footy field or watching from the sidelines, stay cosy in this sporty thermal fleece lined zip-through. The thumb holes and hood keep you extra toasty.